TomTom today announced that it is launching new maps for European regions, available to all current users through the new TomTom Map Shop. 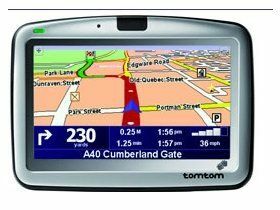 The new maps contain the most up-to-date information and are ideal for customers who purchased a TomTom sat-nav device anytime before April 2006. With the addition of 40,000km of new roads, 18,000 points of interest and 7,000 new roundabouts in Europe in the last six months alone, the new maps are available to purchase as a download, on DVD or SD memory card. More good news for TomTom users is that when you buy a new map, the latest version of the TomTom software, including new features such as signpost information and speed limits, will automatically be downloaded to their device via TomTom HOME .